The Jaguar XJ-S debuted in 1976. It was built in three series through 1996, and while that is only 20 years, it was light years in terms of car design based on what the common car looked like in the mid-1970s versus the mid-1990s. And the Jag evolved in its styling, but you can totally tell the first car was closely related to the last. This car, however, is completely different. It looks from certain angles like a TVR Cerbera or an Aston Martin DB7 and has some hints of a modern version of those 7.0-liter Lister Jaguar monsters from the 1980s. What it actually is is a body kit from Paul Bailey Design and was, I think, built in some kind of conjunction with Jaguar. Rumor has it that the Sultan of Brunei ordered the first one and ended up owning two. Only 11 were built between 1989 and 2001. This car is powered by a 3.6-liter straight-six that was originally rated at 221 horsepower. There were a few mechanical tweaks, but nothing major that should make it into the tire-shredding monster it certainly looks to be. I remember these from the 90s and think they’re pretty cool. This one should bring between $27,000-$30,000. Click here for more from Brightwells. 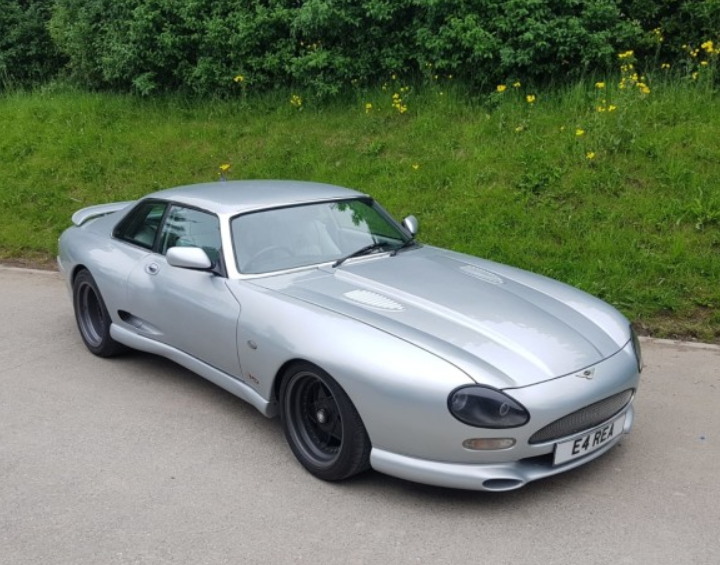 This entry was posted in Uncategorized and tagged 1990, auctions, brightwells, cars, classic cars, jaguar, Monaco, sports cars, xjs by classiccarweekly. Bookmark the permalink.